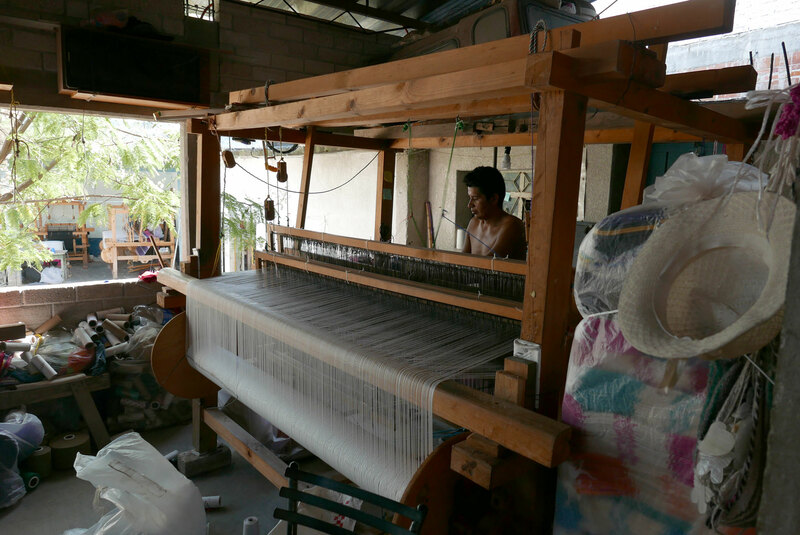 Cotton has been cultivated in Mexico for thousands of years. 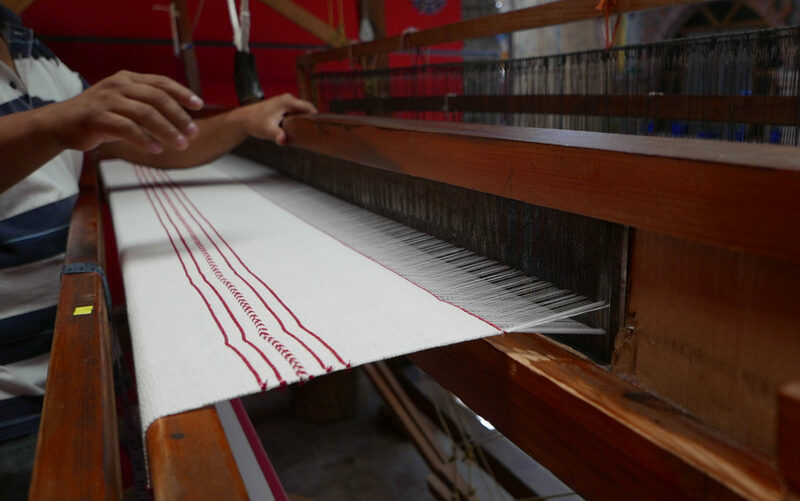 However the introduction of the foot pedal loom in the 1500s made the process of weaving a lot faster, enabling wider pieces of fabric to be made. Cotton buds are picked and deseeded. The fibres are carded and then spun using a traditional spinning wheel. Yarn is dyed naturally with many different recipes used to achieve the different colours. Ingredients include flowers, bugs, bark, leaves and stones to name but a few. The recipes are often kept a secret within families. 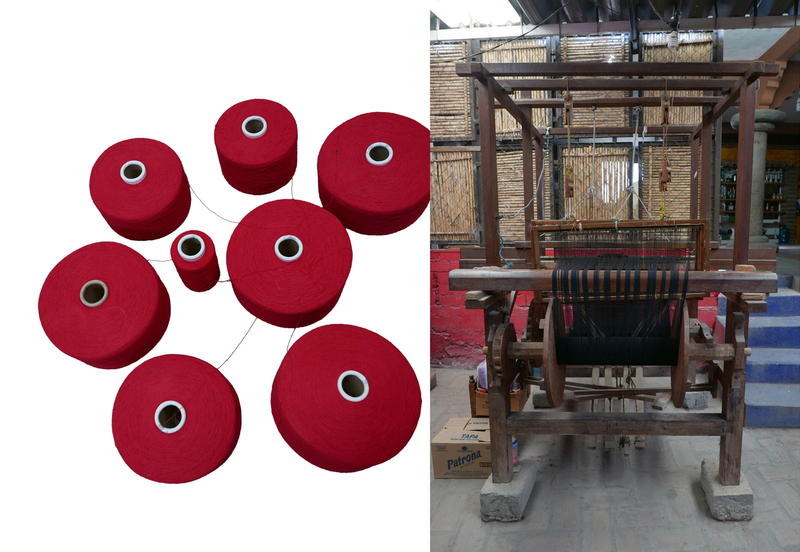 The yarn is then dried in the sun and threaded onto a reel which sits in a shuttle. 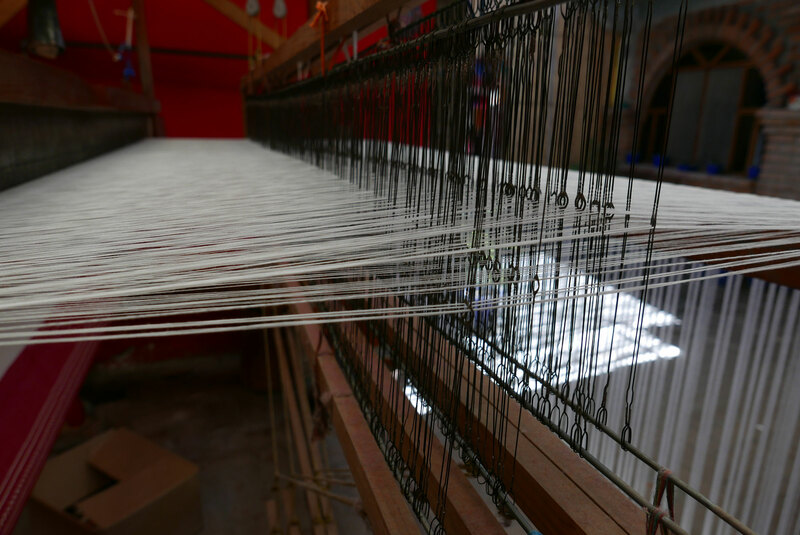 It can take three days to thread the thousands of warp threads onto the loom. 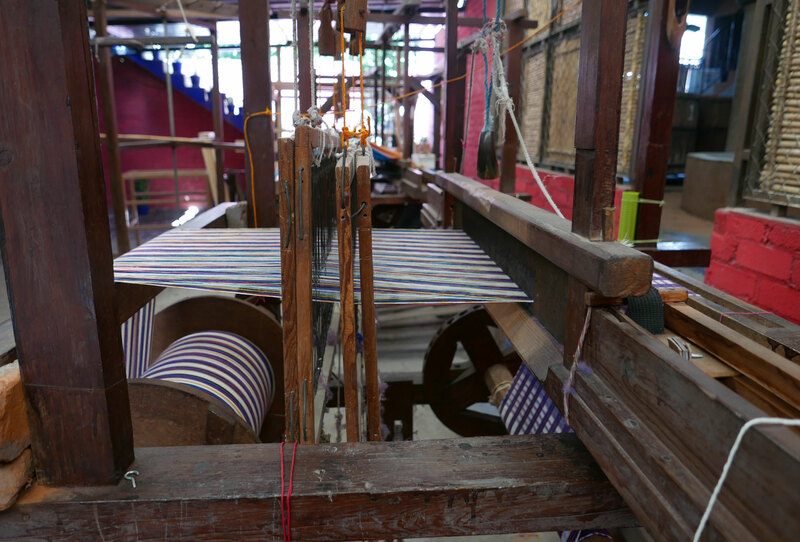 Foot pedals are pushed and a hand lever is pulled simultaneously left and right sending the shuttle carrying the weft thread back and forth. It is demanding work and for ease a rhythm needs to be maintained between the pedalling and the pulling.